[showplus] Critical error: Image folder root/images/rising_stars/2017 specified in the administration back-end does not exist or is inaccessible. Good luck at the 2017 ISU World Figure Skating Championships! Helsinki, Finland hosts 2017 ISU World Figure Skating Championships March 29 through April 2, 2017. SCNY members Maia Shibutani and Alex Shibutani represent the United States in dance and Haven Denney and her partner Brandon Frazier represent the United States in pairs. Other club members include Slovakian ladies champ Nicole Rajicova, Israeli dance champs Isabella Tobias and her partner Ilya Tkachenko, and South Korean dance champs Alexander Gamelin and his partner Yura Min. Good luck, all SCNY and all Team USA skaters! Double-click on the slideshow to see it full-screen. Calling all high school students and college bound skaters! Interested in continuing skating through college? Join several SCNY collegians, graduates and officials for an overview of collegiate skating, plus participate in an On-ice Mock Intercollegiate Team Maneuvers Competition 9 am to noon, Sunday, April 9, 2017 at Chelsea Piers Sky Rink. In addition to free skating and solo dance, intercollegiate teams compete in maneuvers -- leveled skills competitions where each team member focuses on one or two required elements (maneuvers) at one of three test-based levels. Sign up below, sharpen your skates, and join us for an exhilarating morning of mock intercollegiate competition and college skating orientation. Maneuvers will be done as a simulation of an intercollegiate team competition. Participants will select up to two elements that they would like to skate at their current test level when they register for the seminar (see the form below for the list of elements). Noodle Pro Tutors, who have worked with SCNY skaters and other athletes, will talk about how to juggle ice time, school, and test prep, and also provide timelines and advice for college prep milestones (class selection, testing, college visits, applications). Cost: Just $25, inclusive of ice time! 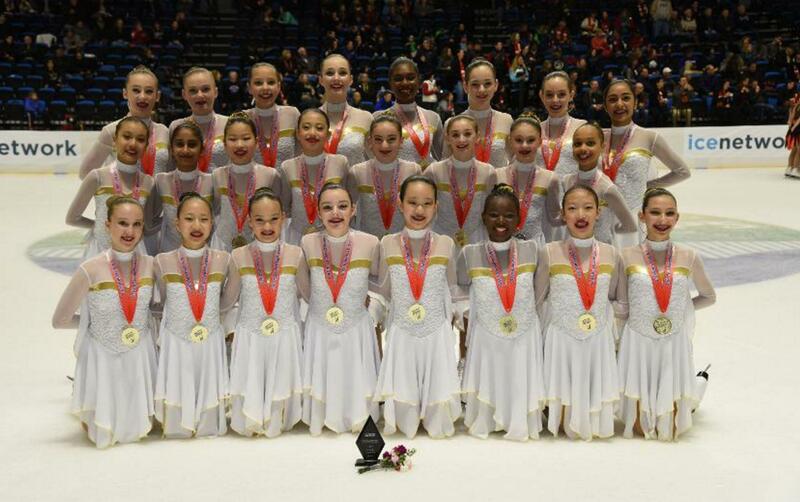 The Skyliners returned Sunday from the 2017 U.S. Synchronized Skating Championships in Rockford, Illinois with FOUR NATIONAL TITLES — gold in Junior, Novice, Intermediate and Juvenile, plus bronze for Senior. 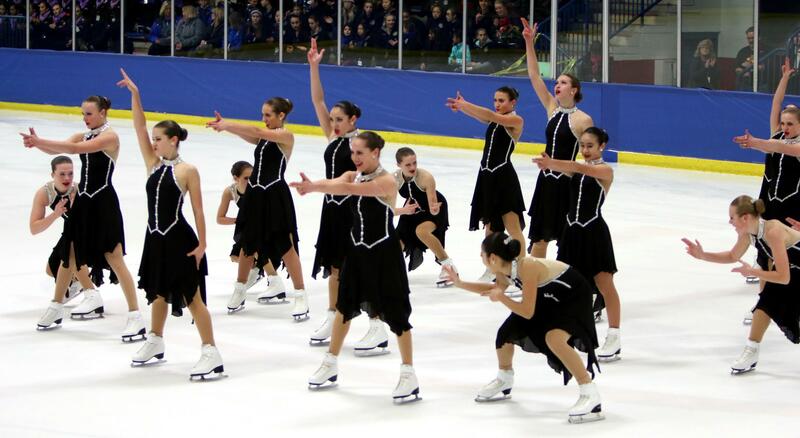 Gotham City Synchro Masters placed twelfth. We are so proud of every SCNY team and skater! 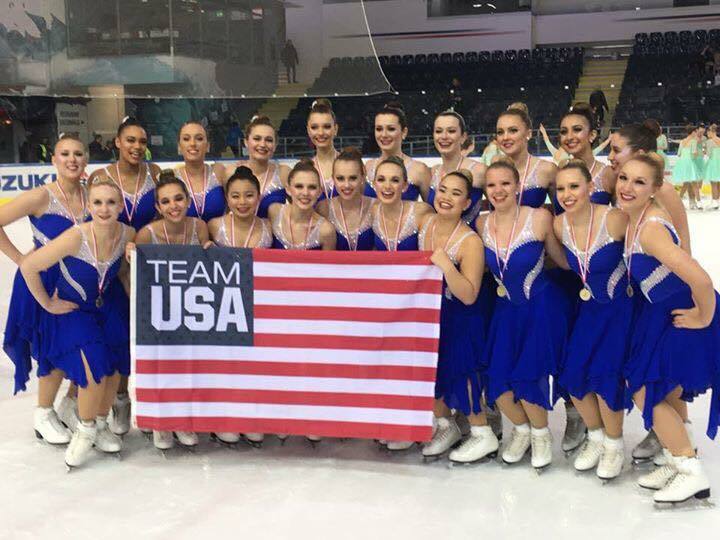 Skyliners Junior heads to Mississauga, Ontario March 10-11 as TEAM USA 1 and the ISU World Junior Synchronized Skating Championships for the third consecutive year. Good luck, TEAM USA! The Skyliners 2016-17 senior line is the 2017 ISU Zagreb Snowflakes Trophy champion and 2017 ISU Mozart Cup, 2016 Richard Porter and 2016 Boston Synchro Classic bronze medalist. It is the 2017, 2016 and 2015 US national bronze medalist. The 2016-17 Skyliners junior line won the 2017 US Synchronized Skating National Championships, 2017 US World Team Selection Event, 2017 ISU Berlin Cup, 2016 New England Challenge Cup and 2016 Dr. Richard Porter Synchro Classic, and claimed bronze at the 2017 and 2016 ISU French Cup in Rouen, France. The line is a three-time national champion and will compete as USA TEAM 1 at the ISU Synchronized Skating Junior World Championships in Mississauga, Ontario. 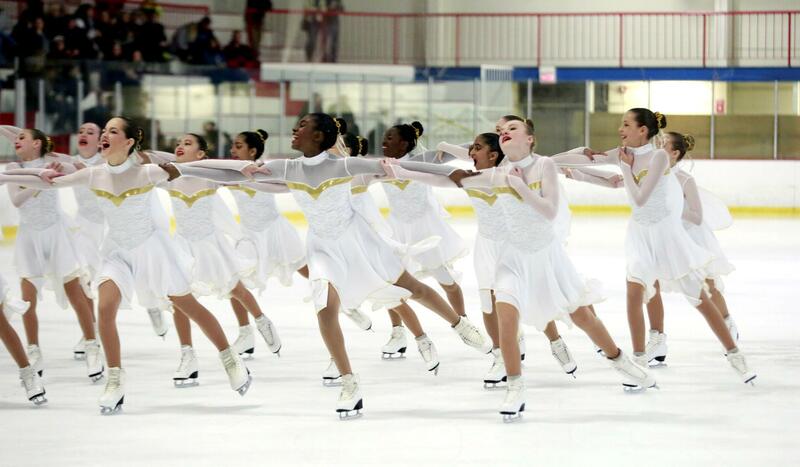 The 2016-17 Skyliners novice line is the 2017 US Synchronized Skating Novice National Champion. The line also won the 2017 Eastern Synchronized Sectional Championships and 2017 Colonial, 2016 Dr. Richard Porter and 2016 Boston Sunchro Classics. They are also the 2015, 2014, 2013 and 2011 US Synchronized Skating bronze medalists. 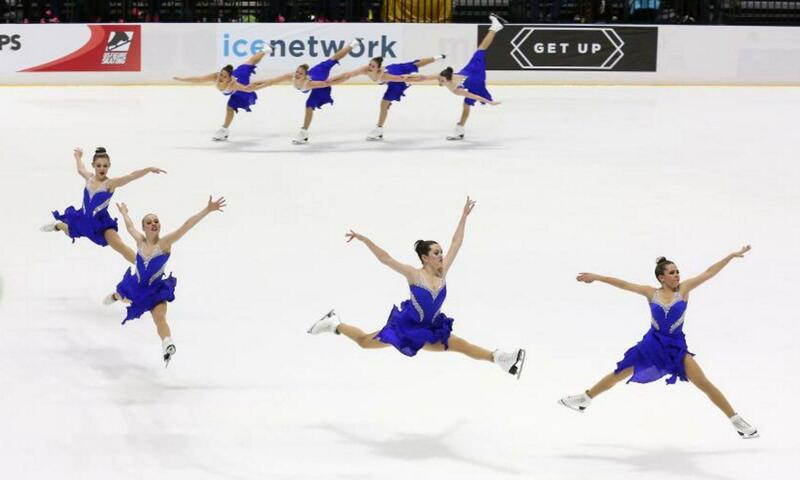 The Skyliners 2016-17 Intermediate line is the 2017 and 2016 US Synchronized Skating National Intermediate Champion and 2017 Eastern Sectional Synchronized Skating Champion. The line won gold at the 2016 Dr. Richard Porter Classic, silver at the 2017 Colonial Classic and bronze at the 2016 Boston Synchro Classic. 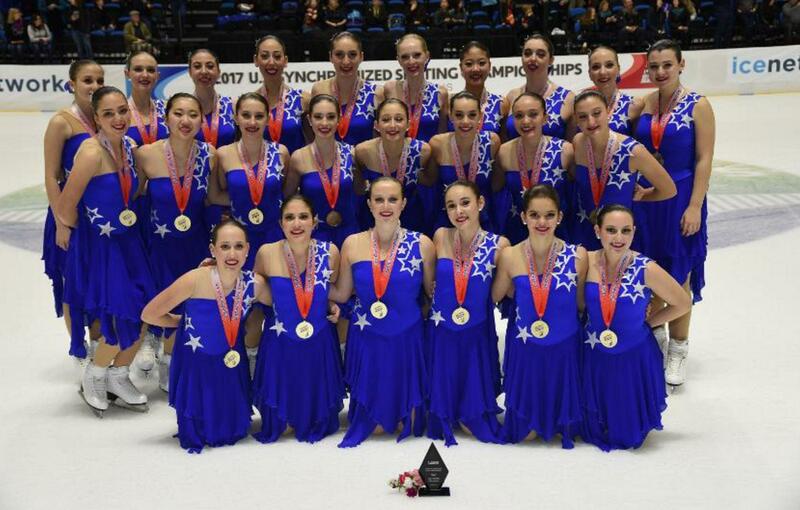 The 2016-17 Skyliners Juvenile line is the 2017 and 2016 US Synchronized Skating National Juvenile Champion. The line won gold at the 2017 Eastern Sectional Championships, 2017 Colonial Synchro and 2016 Terry Conners Synchro Classic and silver at the 2017 Boston Synchro Classic. 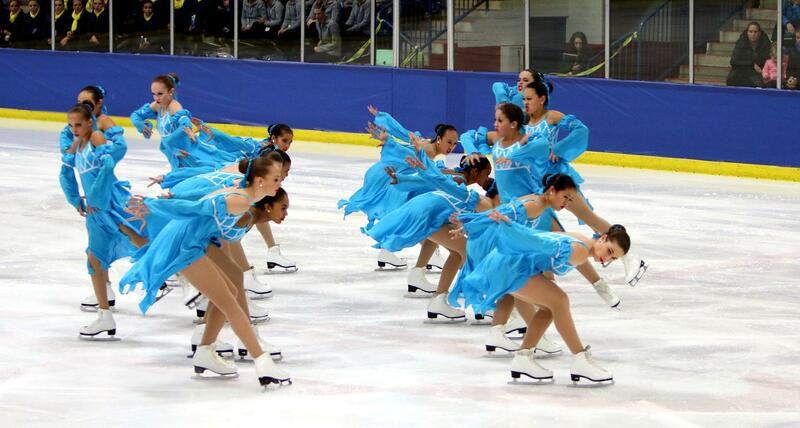 Skyliners Juvenile has won four Nationals titles and has won Eastern Sectionals seven consecutive times. The 2016-17 Gotham City Synchro masters line won silver at the 2017 Colonnial and 2016 Terry Conners Synchronized Skating Classics. Congratulations to our 2017 U.S. Figure Skating National Champions! Congratulations to the following skaters for their outstanding performances at the 2017 Prudential U.S. Figure Skating Championships in Kansas City, Missouri We are so proud of you! Click on the names in the first or last column of each table to learn more about the designated skater(s). Want to know the latest SCNY News? Follow us on our Facebook page where you will find all of the latest information about the club, our members and figure skating. So like us and stay connected. Don’t miss out! Place your ad in the Second Annual SCNY Yearbook NOW! Our first annual Yearbook was a great success. Now is the time to place your ad for the 2016-2017 Season Yearbook. 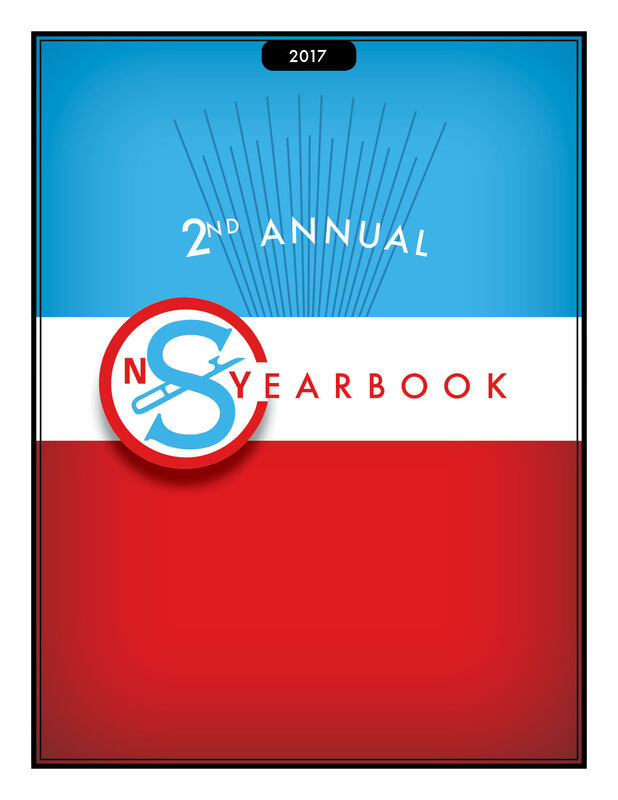 The complimentary yearbook will be mailed to all SCNY members. We hope you will join in the celebration. Click on an image to enlarge it. To enlarge it further, click on the sizing icon at the top-right corner of the pop-up. Another extraordinary year for The Skating Club of New York is winding down, with seven medals at the US Figure Skating Championships -- including national titles in senior dance (Maia and Alex Shibutani) and senior pairs (Haven Denney and Brandon Frazier), four Grand Prix and Junior Grand Prix finalists, thirteen Grand Prix, Challenger Series and Junior Grand Prix medals, and three international medals for our Skyliners’ junior and senior lines. Don’t miss out on the chance to place an ad in our second annual SCNY yearbook! * Members, purchasing an ad in the SCNY yearbook is great way to commemorate your skater’s progress, recognize their fans and thank everyone who has made them the skater they are. * The pages are open to everyone, including commercial advertisers, and are not limited to SCNY members. The editorial board reserves the right to reject any submission that is negative, inflammatory, offensive or adverse to the yearbook's main purpose: celebrating the sport of figure skating and its skaters, teams, coaches, officials and supporters. NY Showcase and Wollman Open competitors: Don’t forget your photos! Congratulations to our 2017 Eastern Synchronized Skating Sectional Champions! 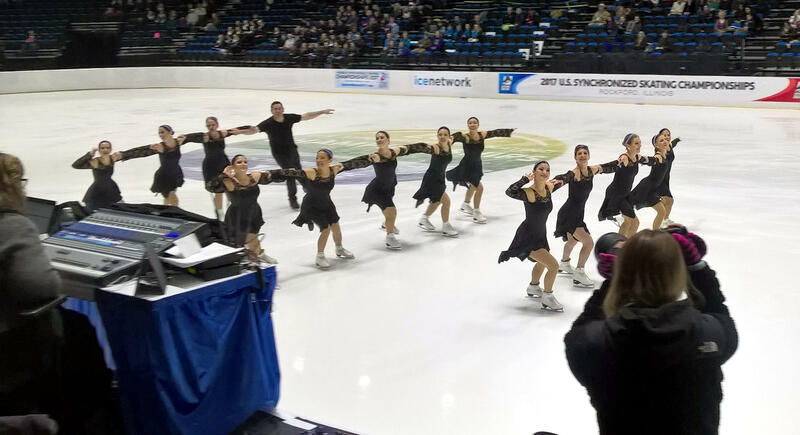 Eight SCNY teams competed at the 2017 U.S. Eastern Synchronized Skating Championships in Hershey, Pennsylvania. The Skyliners swept GOLD from preliminary to novice, Gotham City Masters placed fifth, and SCNY amassed six invitations to the 2017 U.S. Synchronized Skating Championships, February 23-25, 2017 in Rockford, Illinois. Eight teams will represent the Skating Club of New York in Hershey, PA January 26-28 at the 2017 Eastern Synchronized Skating Sectional Championships. Good luck, all teams and skaters! Congratulations to our 2017 Eastern and Pacific Sectional Champions! Good Luck to our Skaters at Eastern and Pacific Coast Sectionals! US Figure Skating presents SCNY members Maia and Alex Shibutani! Congratulations to our 2017 North Atlantic Regional champions!